Obituary for Susan D (Boston) Gray | Johnson Funeral Home, Inc.
Susan D. Gray, 61, passed away on Wednesday, March 14, 2018 at her home. She was the daughter of the late Jessie and Corine Major Boston. 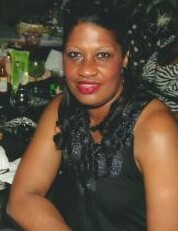 She is survived by her son, Cedric (Calandra) Marcellus Gray. Susan was a former BASF Fibers and manufacturing employee, Hostess at Cracker Barrel of Anderson and she was a delightful stadium lot employee for Clemson University Home Games. She loved her Clemson Tigers. Services will be 1:00 pm, Monday, March 19, 2018 at Thompson Centennial United Methodist Church in Anderson. Interment will be at Mt. Moriah Baptist Church.